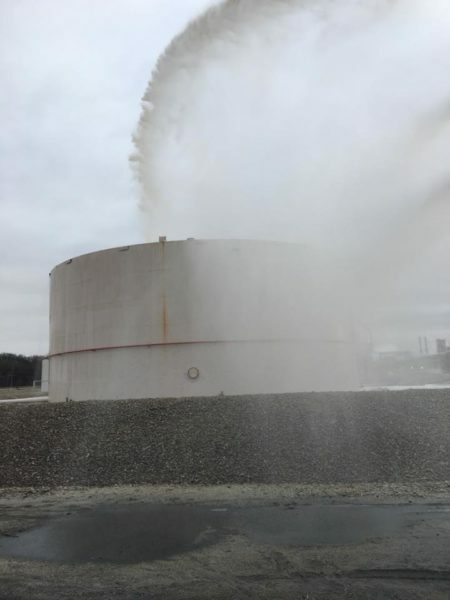 When you need really big water and foam. 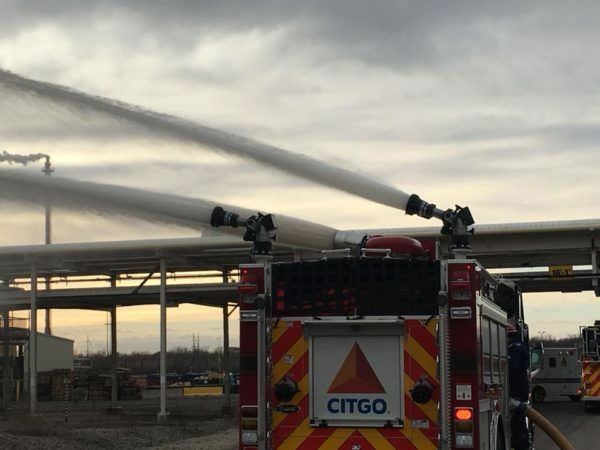 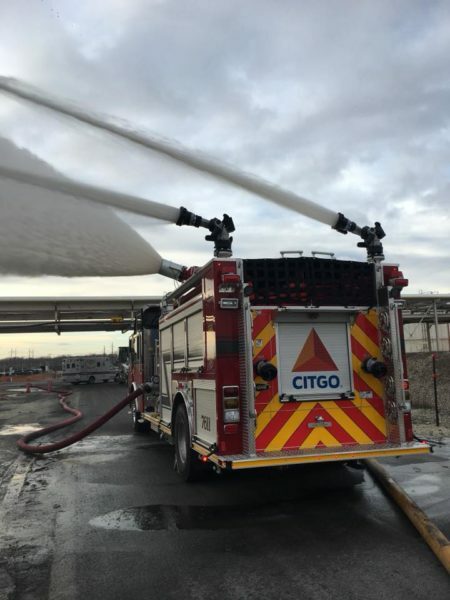 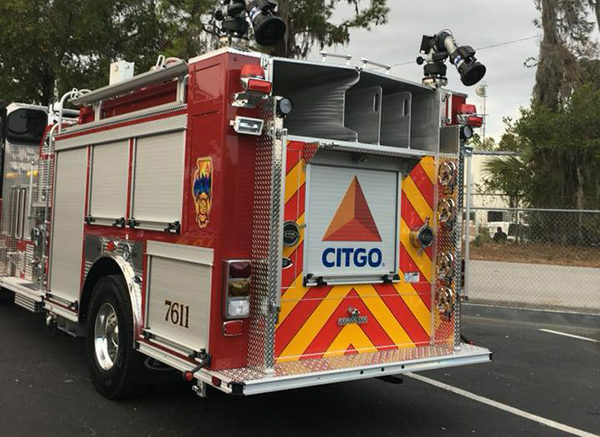 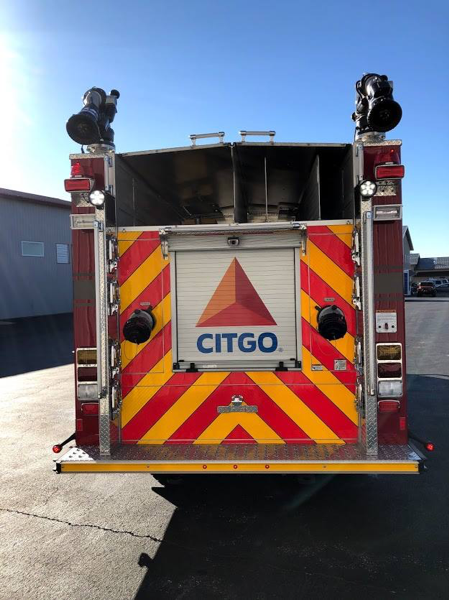 Inservice training complete at Citgo on their new E-One industrial pumper. 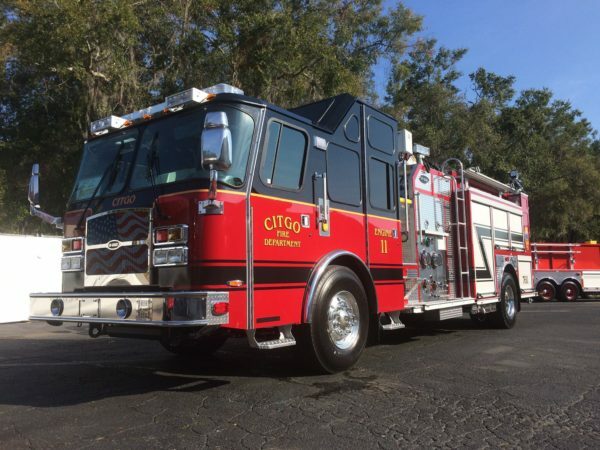 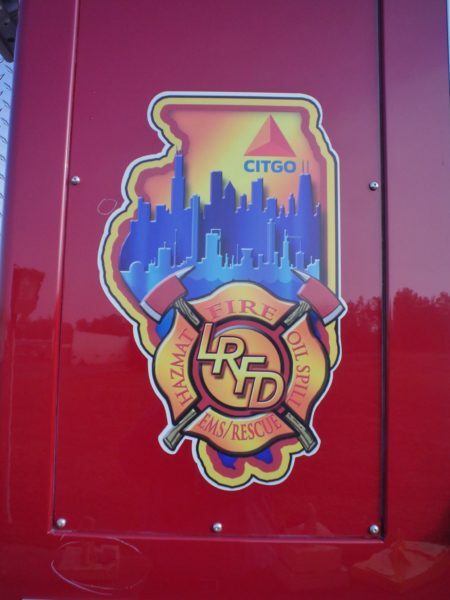 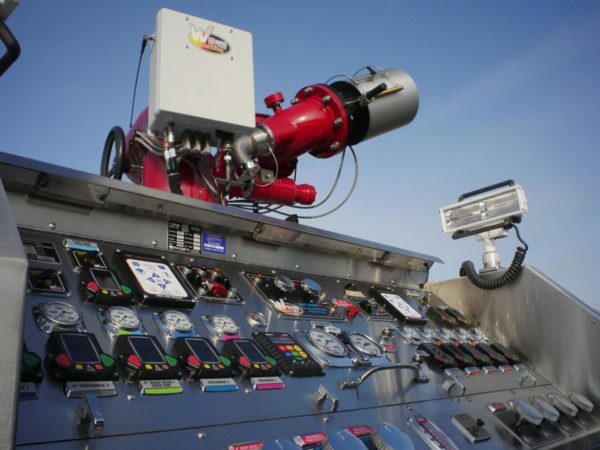 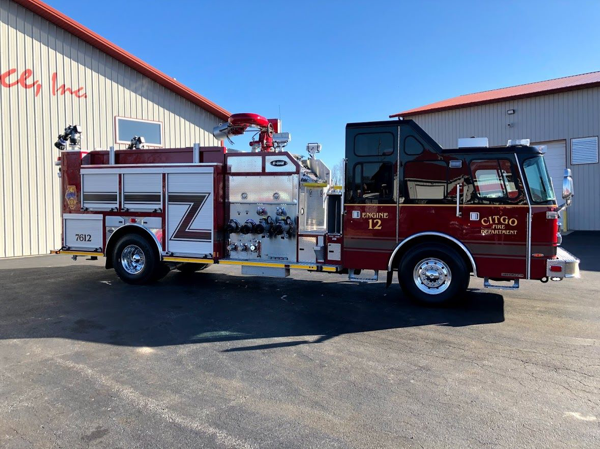 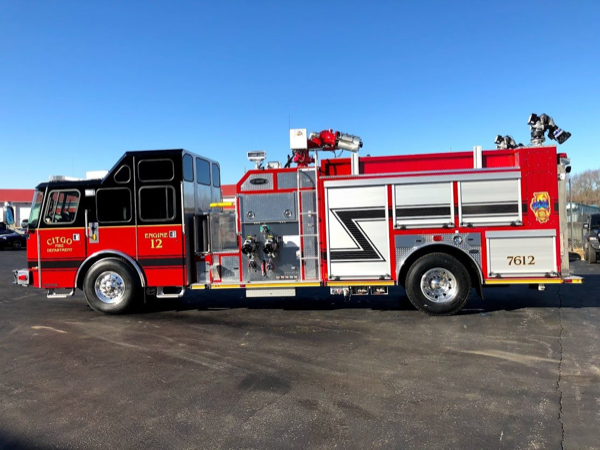 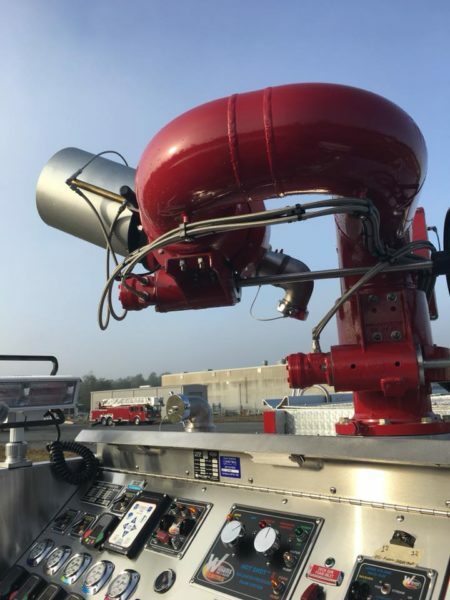 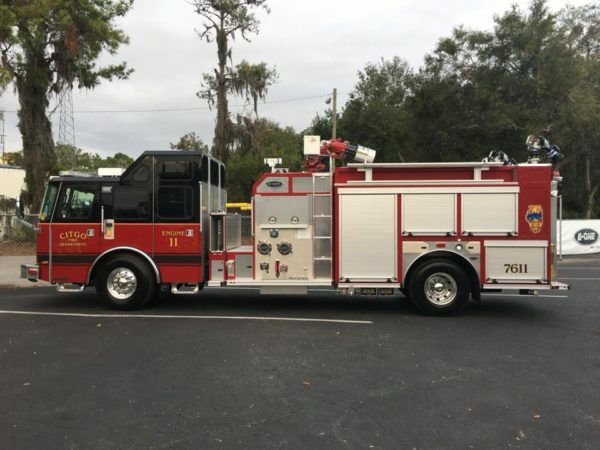 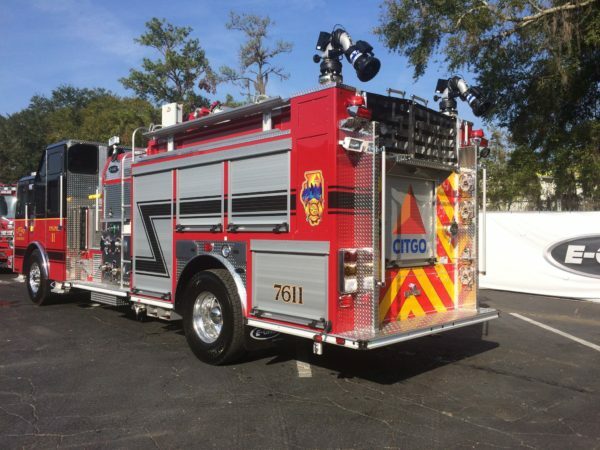 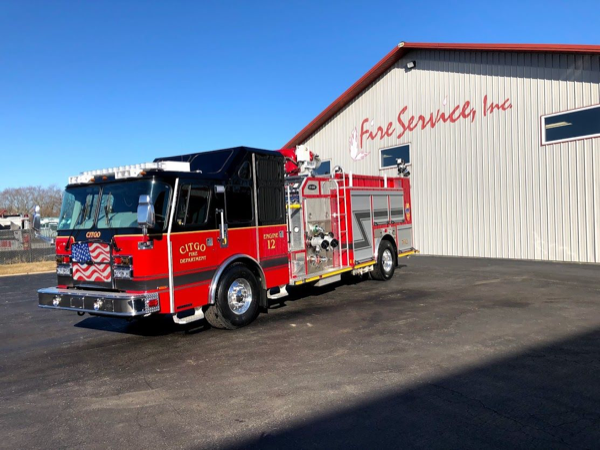 A new E-One custom Industrial Pumper coming to Citgo Petroleum Lemont Illinois facility. 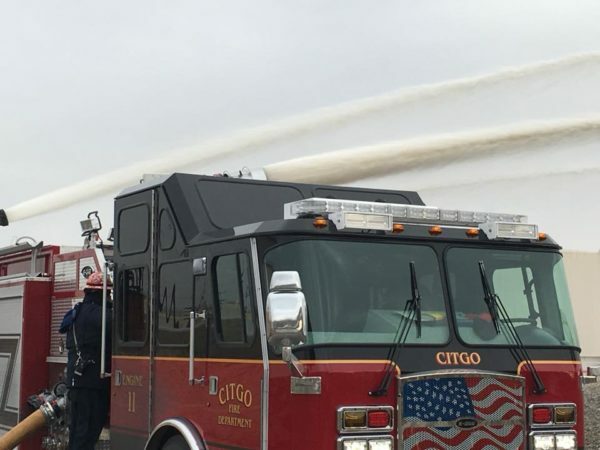 3,500 draft. 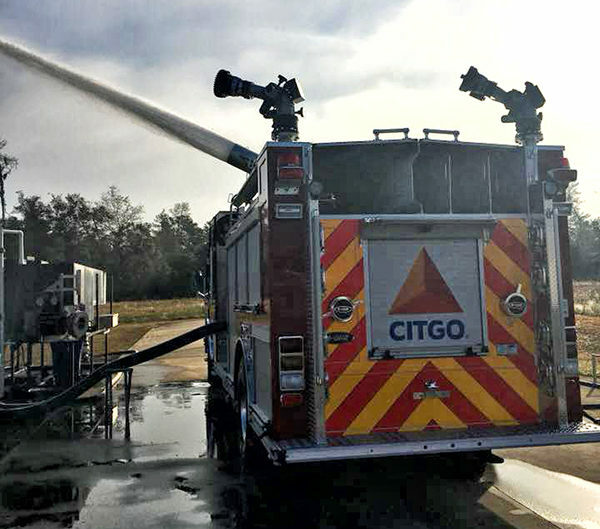 Much,much more off of a hydrant. 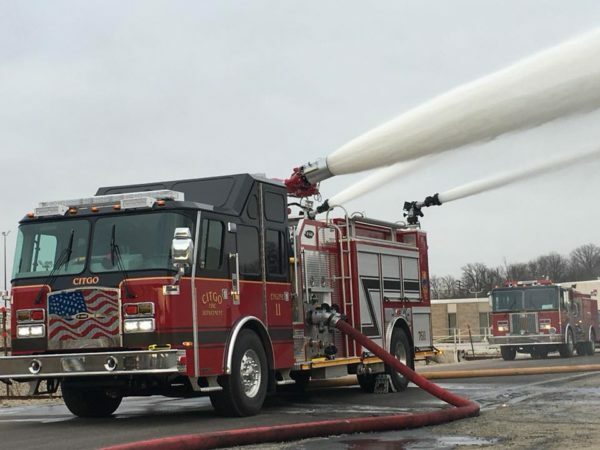 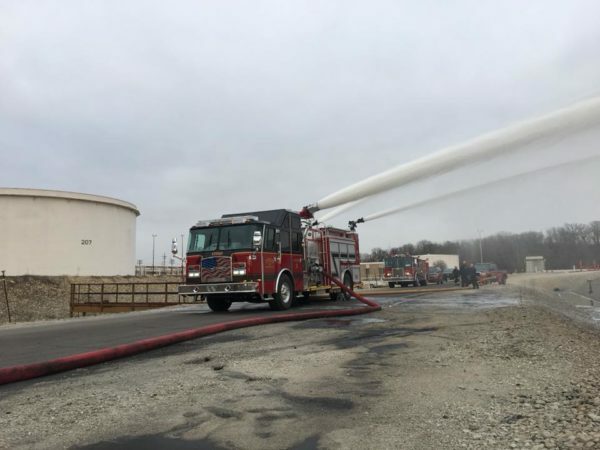 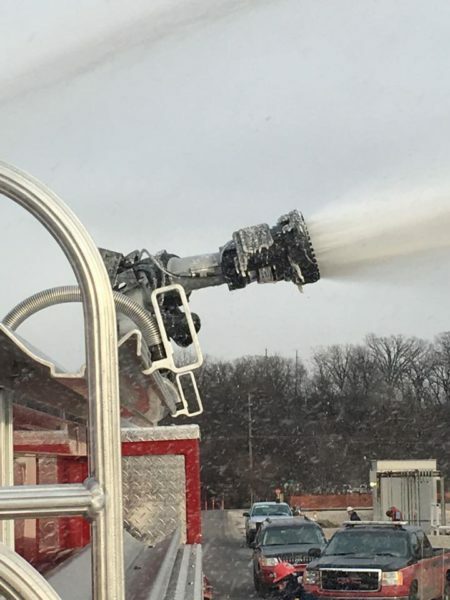 Main gun is 6,000 gpm supplemented by twin 2,000 gpm Monsoons. 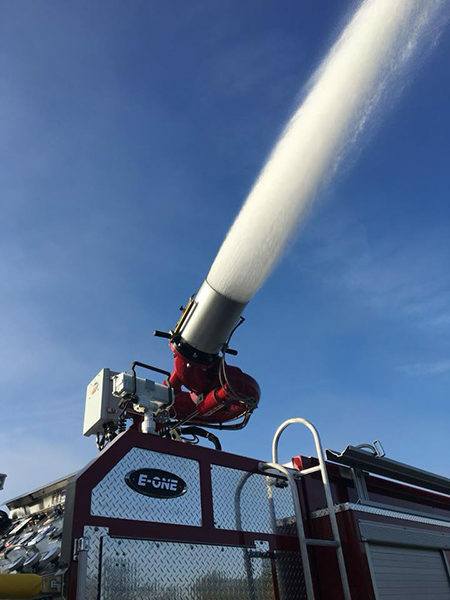 1000 gallon foam tank with Williams 300 balanced pressure foam system all powered by a Cummins 15 liter 600 horsepower engine.